In my new book, "About 30 Traditional African Songs for the Hugh Tracey Karimba," there are two different versions of "Mahororo". After the book was published I went and made a YouTube video of a new version that was nothing like either of the published ones. I was very familiar with the song, and had internalized its structure. I then was able to create my own version improvisationally. 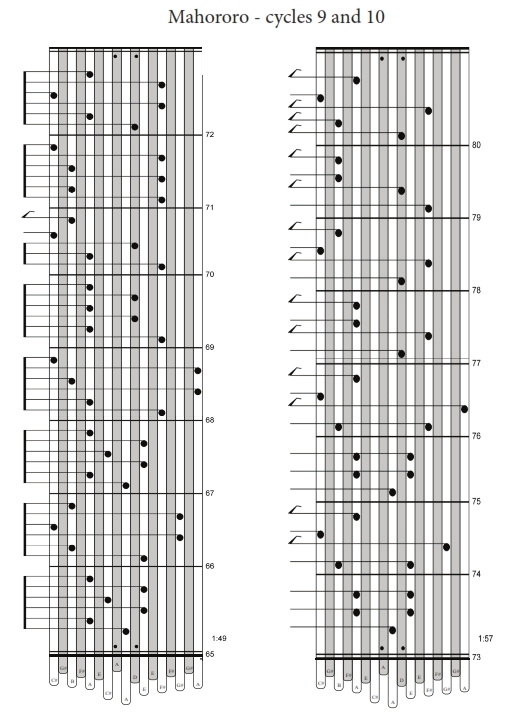 The times near the lower right corner of each stanza of tablature refer to the time in the video that each particular variation starts. The first cycle begins at 1:49 into the video.